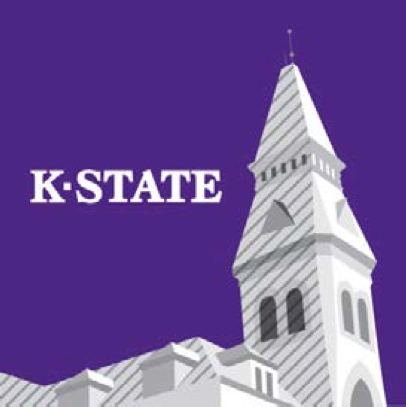 As University Distinguished Professors at Kansas State University and Distinguished Professors at the University of Kansas, we write to express our continued concern about the new social media policy. We appreciate that the Board has invited representatives from the universities to review the policy, and to offer recommendations for amendments to said policy. However, we ask that the policy itself be suspended until such review has taken place. 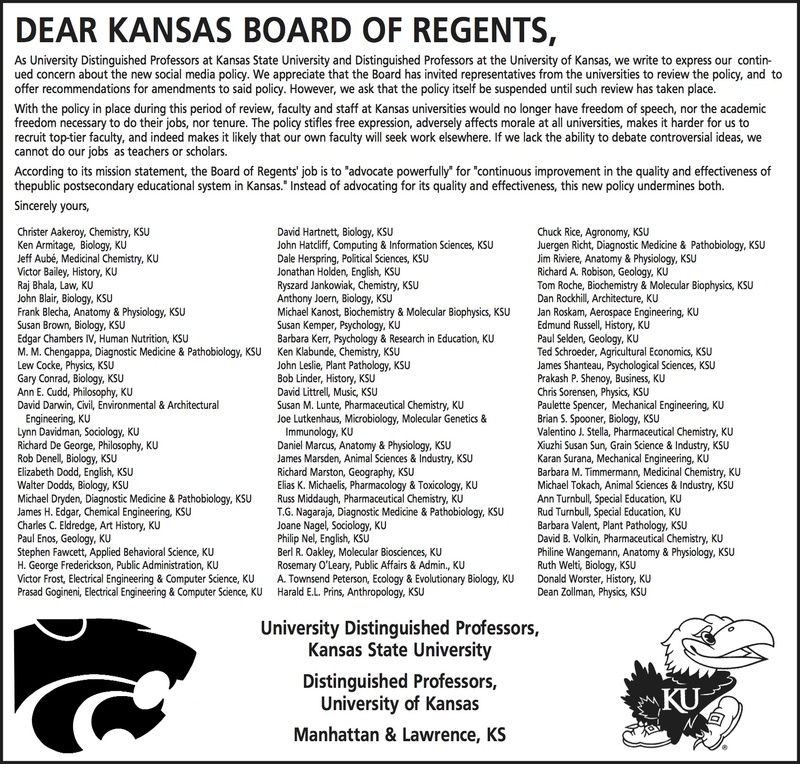 With the policy in place during this period of review, faculty and staff at Kansas universities would no longer have freedom of speech, nor the academic freedom necessary to do their jobs, nor tenure. The policy stifles free expression, adversely affects morale at all universities, makes it harder for us to recruit top-tier faculty, and indeed makes it likely that our own faculty will seek work elsewhere. If we lack the ability to debate controversial ideas, we cannot do our jobs as teachers or scholars. 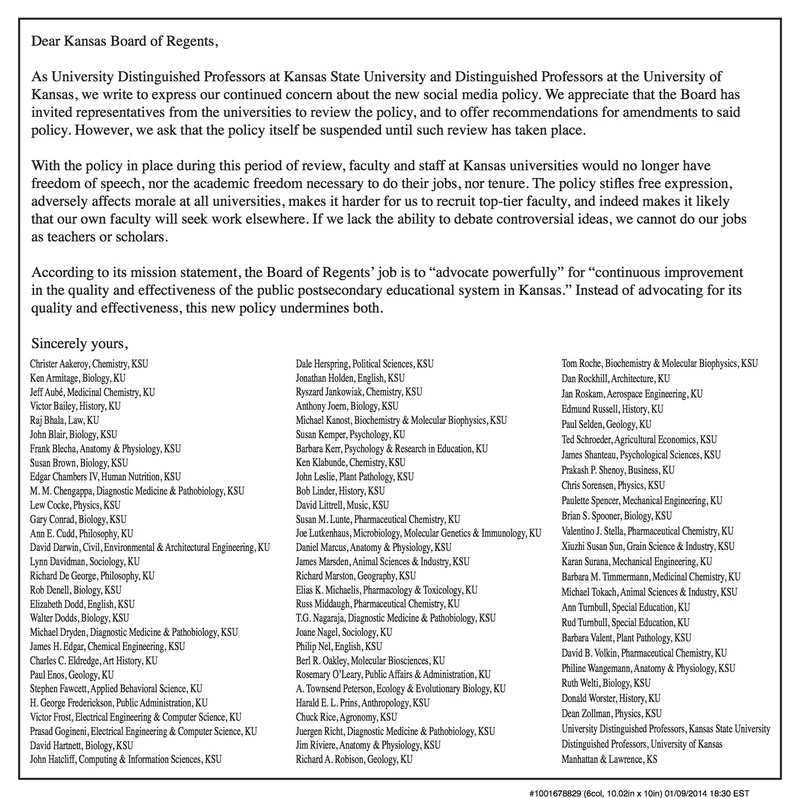 According to its mission statement, the Board of Regents’ job is to “advocate powerfully” for “continuous improvement in the quality and effectiveness of the public postsecondary educational system in Kansas.” Instead of advocating for its quality and effectiveness, this new policy undermines both. A print version of this appears as an ad on Sunday, 12 January 2014 in: The Lawrence Journal-World, The Manhattan Mercury, and The Topeka Capital-Journal.